Item # 312360 Stash Points: 9,995 (?) This is the number of points you get in The Zumiez Stash for purchasing this item. Stash points are redeemable for exclusive rewards only available to Zumiez Stash members. To redeem your points check out the rewards catalog on thestash.zumiez.com. 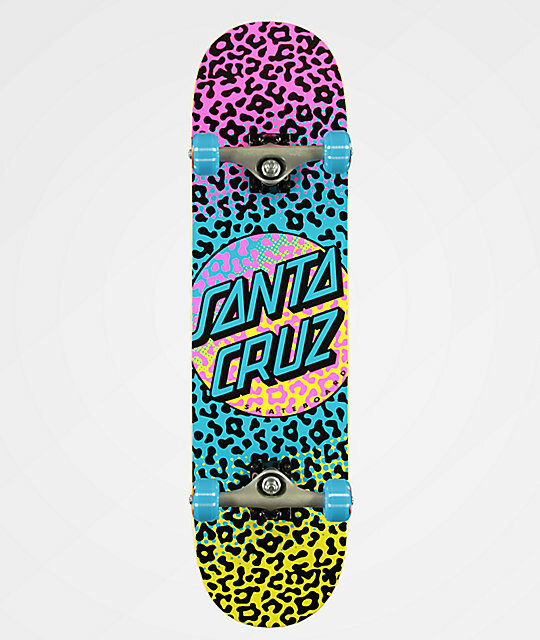 Go wild at the skatepark on the Santa Cruz Prowl Dot 8.0" Skateboard Complete. 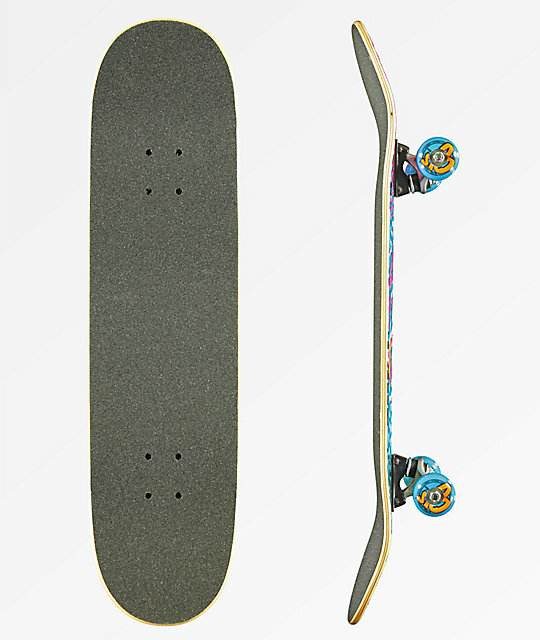 Featuring mid-range concave for additional flick strength for flip tricks, and small wheel wells so you can ride with looser trucks, this set up is ready for almost all riding styles. Constructed with 52mm, 99a wheels for excellent acceleration and predictable grip, along with abec 3 bearings for carrying speed, this board provides a smooth ride from plazas to half pipes. Finished with Bullet trucks for premium hill bombs and controllable stalls, this set up can truly rip it all. Prowl Dot 8.0" Skateboard Complete from Santa Cruz.